Nobody wants to spend time reading second-rate material about second-rate material, so I should clarify that what I want to do with this is highlight groups that are good, but for certain reasons, never emerged onto the national scene. I’m calling them B-list bands not because they necessarily deserve their place outside of the spotlight, but because they are outside of the spotlight, and also because it seemed to alliterate well in my head. The model I have in mind right now describes artists that started out very similarly to, but ultimately failed to match the trajectory of another that made it big. 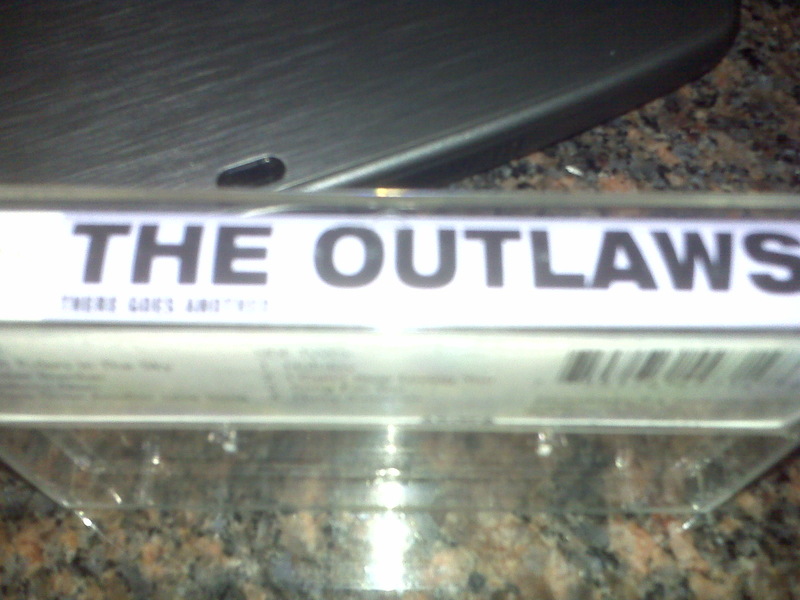 First up is The Outlaws. Formed in 1967 in Tampa, by the early 70s they had developed into a triple-guitar-attack Southern Rock band with an emphasis on a strong live performance. Sound familiar? Compare Lynyrd Skynyrd: formed in 1965 in Jacksonville, developed triple-guitar-attack Southern Rock by the early 70s, and a reputation built on strong live performances, catapulting themselves to long-running national prominence. Skynyrd’s Ronnie Van Zant even helped them get their first record deal– after The Outlaws opened for them, Van Zant apparently announced to all in attendance, including their Arista rep, that “If you don’t sign The Outlaws, you’re the dumbest music person I’ve ever met.” More grimly, both have seen the deaths of band members. Drug overdose and suicide for The Outlaws; a tragic airplane crash for Skynyrd. Why didn’t they succeed like Skynyrd? Altough Southern Rock is a commonplace part of our national soundscape today, it was only emerging then, and there probably wasn’t room for more than one or two groups to make it with this sort of sound, and the Allman Brothers certainly weren’t backing down. Thus there were (more than) a handful of groups like The Outlaws and the Marshall Tucker Band with minor hits and a sound that remained regionalized. Song strength is important, of course, and Skynyrd’s harder rock edge probably helped them translate better than The Outlaws, who hung onto a little more of their softer country roots in their take on the Southern Rock sound. And like many bands that never quite make it, they had lot of personnel changes over the years. In addition to the six current members, Wikipedia lists forty-one former members, which is a lot. If there’s another group you’d like to see to featured in this spot in the future, suggestions are welcome. This entry was posted in ALDLAND and tagged b-list band of the week, florida, lynyrd skynyrd, music, the outlaws by AD. Bookmark the permalink.